James Stanley will be entering his second season with the Bombers after joining the club as a defensive assistant in April of 2018. Stanley played an important role in the Bombers defensive success in 2018, as the club finished second in points, touchdowns and passing touchdowns allowed while continuing to be the league-leaders in forcing turnovers. Prior to coming aboard with the Bombers, Stanley spent five seasons with Hamilton as defensive backs coach.During his time with the Tiger-Cats, Stanley coached multiple defensive backs to CFL All-Star status, including Delvin Breaux in 2014, and Emanuel Davis and Craig Butler in 2015. Previously, Stanley helped the Toronto Argonauts capture the 100th Grey Cup Championship in 2012 while serving as linebackers. He began his CFL coaching career as a defensive assistant with the Calgary Stampeders in 2011, working specifically with the secondary. 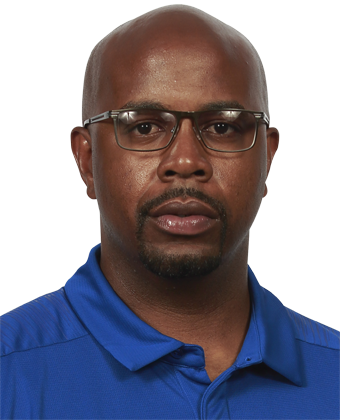 In 2010, Stanley was a special-teams quality control and defensive assistant coach with the United Football League’s Hartford Colonials, while later serving as a defensive coaching intern with the Cleveland Browns of the NFL. He also spent part of the 2009 season as a special teams and secondary intern coach with the NFL’s Detroit Lions.